There are few historical figures so gloriously enshrined as champions of human progress like our long deceased 16th president, Abraham Lincoln. We often regurgitate praises upon Lincoln based on the publicly instilled sentiments of the psuedohistory of childhood and the inexhaustible library of revisionist textbooks conscripted by our local penitentiary school systems.We built a monument to this sensationalized figure, making idol of the legacy of decadence and decline. The Civil War was absolutely unnecessary and the unconstitutional, tyrannical executive ambushes of Lincoln were reminiscent of the very tyranny that the American people had fought against just a century prior. Lincoln, immortalized as the "Great Emancipator" was a racist, white supremacist who used American soldiers to suppress and kill American citizens and deserves only infamy. One may rightly wonder why I uphold such a seemingly perverse disposition. I say just explore the legacy of Lincoln and see if you are not dissuaded of some of your dearest historical assumptions. We are told that the civil war was the justified northern aggression against southern slavery. But this is fundamentally false. Though slavery may have been a cause, the root of the Civil War had everything to do with whether or not the States' have the right to secede from the federal union. 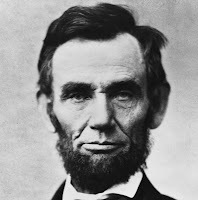 Moreover, in response to the Confederate States of America, Lincoln suspended Habeas Corpus, suppressed, censored and illegally detained those who disagreed with him and was responsible for the death of over 600,000 American citizens. Basically, the very centralized government from which the commonwealth revolted, was reestablished under the Lincoln presidency. Furthermore, this "great emancipator" did not free the slaves until two years into the civil war! Meaning that most of the war was fought while slavery remained within the States' 10th amendment right to legislate. The 13 amendment was ratified into law conveniently prior to Lincolns reelection. This was not done because of some belief in universal equality, as it is demonstrably clear that Lincoln was a white-supremacist who wanted to ship all the slaves (mostly all of whom were born on American soil) to Liberia. Moreover, if Lincoln wanted to end slavery, he could have found far more peaceful ways of doing it, as is evident by the British Empire's peaceful abolition of slavery in 1833.